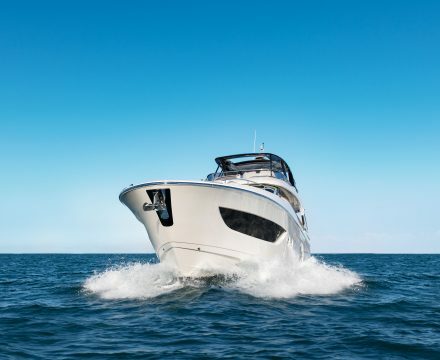 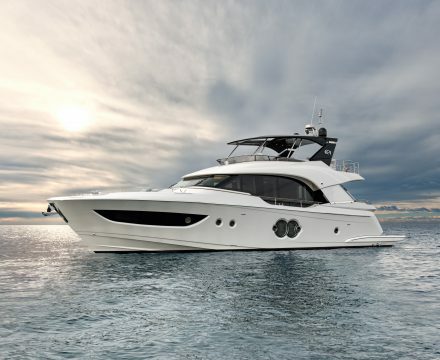 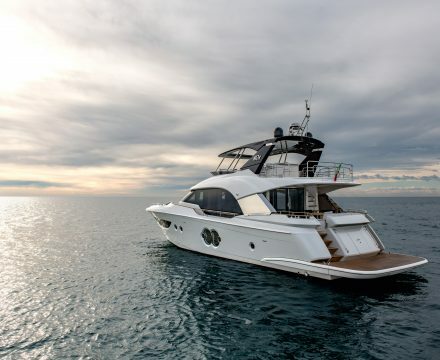 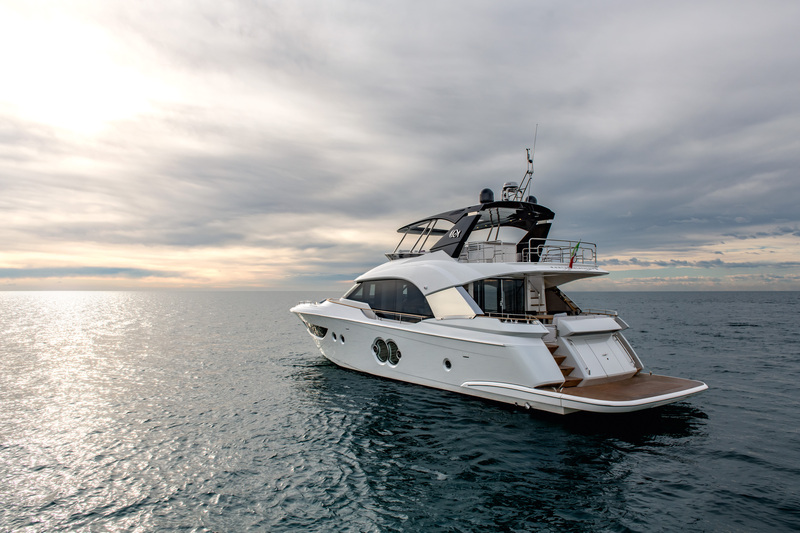 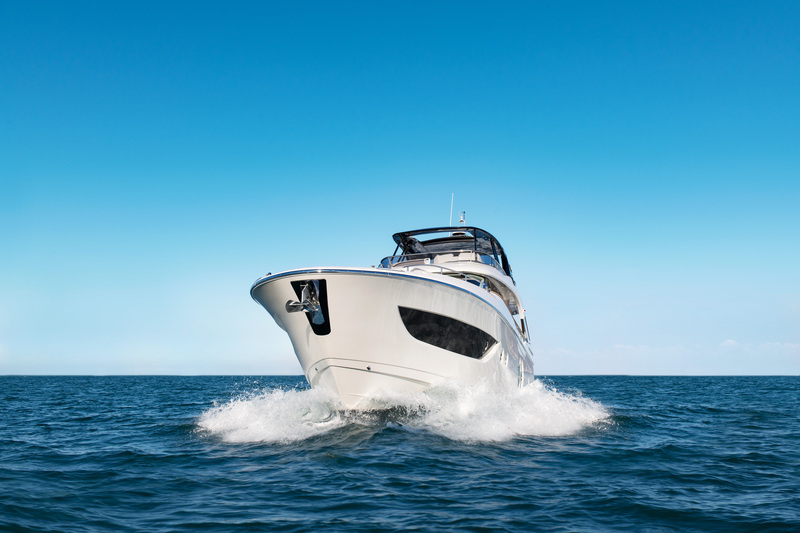 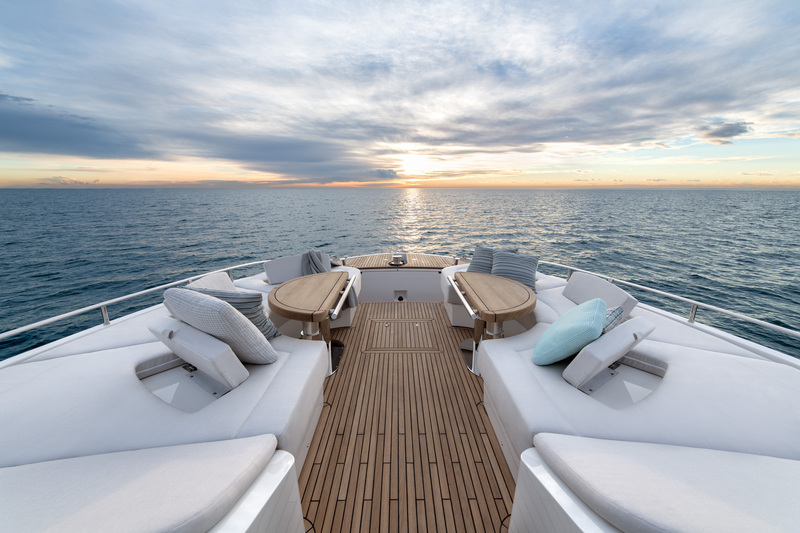 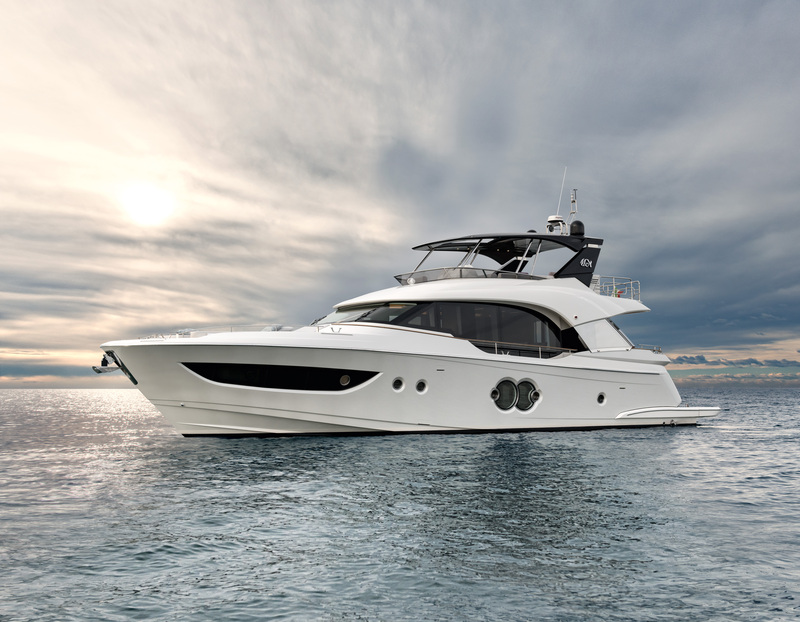 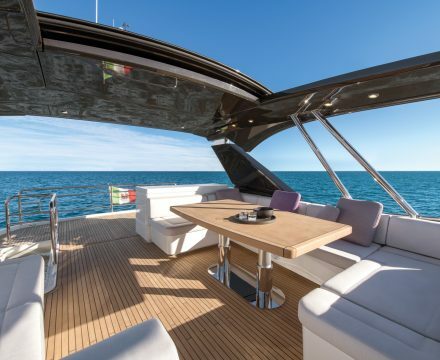 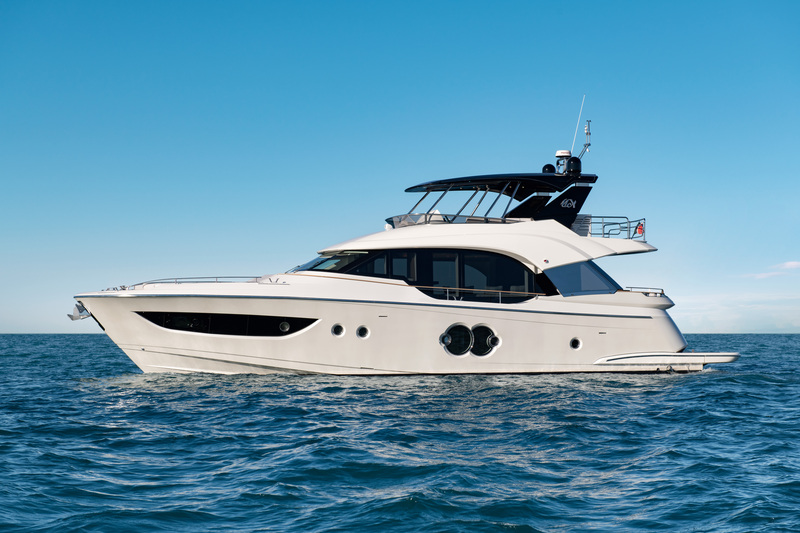 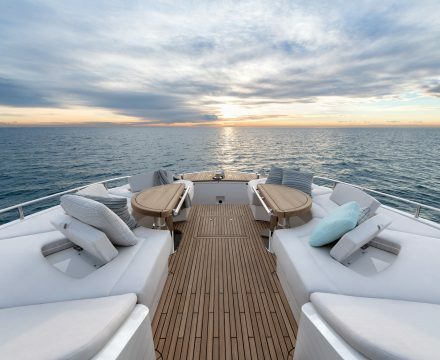 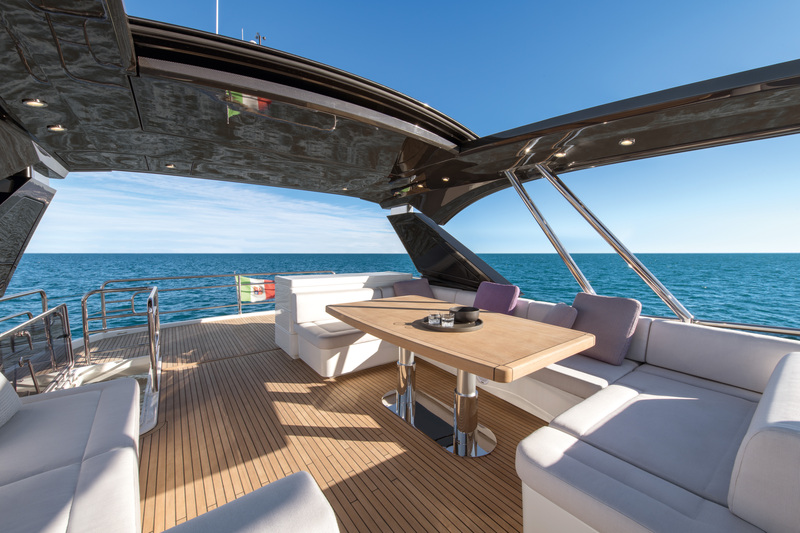 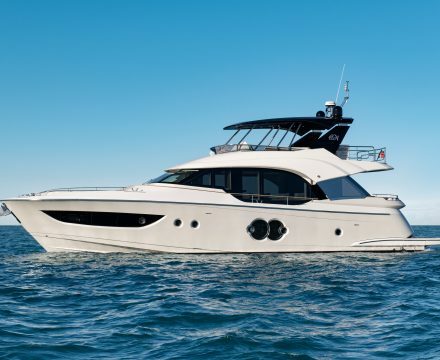 The BRAND NEW 70 epitomises the brand concept, right from the high flared bow, with easy entry into the water, and with those lines which make it fit in whether reflected in a Mediterranean bay or out on the ocean waves. 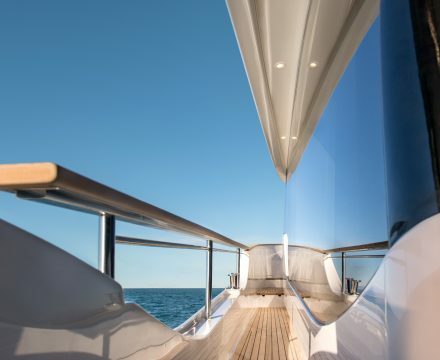 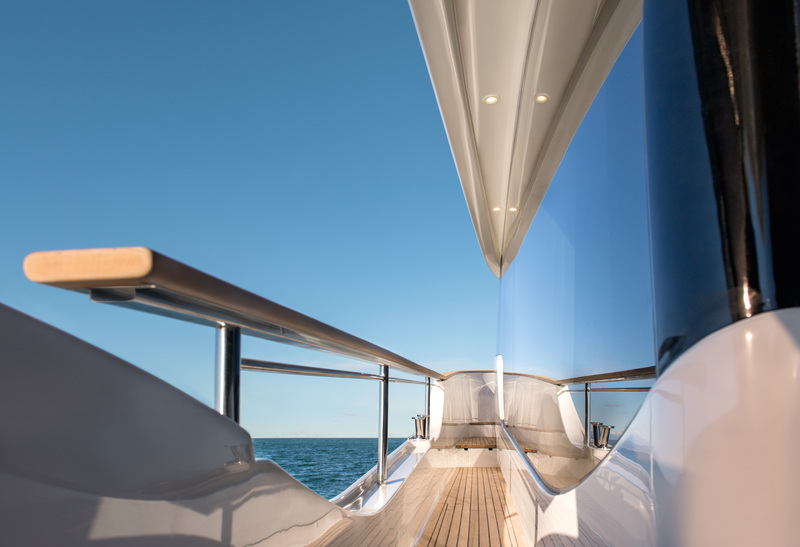 Full of special and previously unseen features: the distinctive nature of the MCY 70 can be best summarised by the sinuous flow between the profiles of the fly and the fashion plates, the unmistakable supports in glass and steel which represent one of Monte Carlo Yachts signature features, always skilled in reusing classic functional elements and reworking them in a contemporary way. 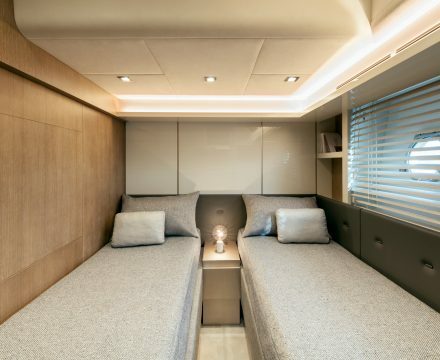 With a unique appeal, the on-board experience and the atmosphere of the interior environments have been designed to convey instant recognition. 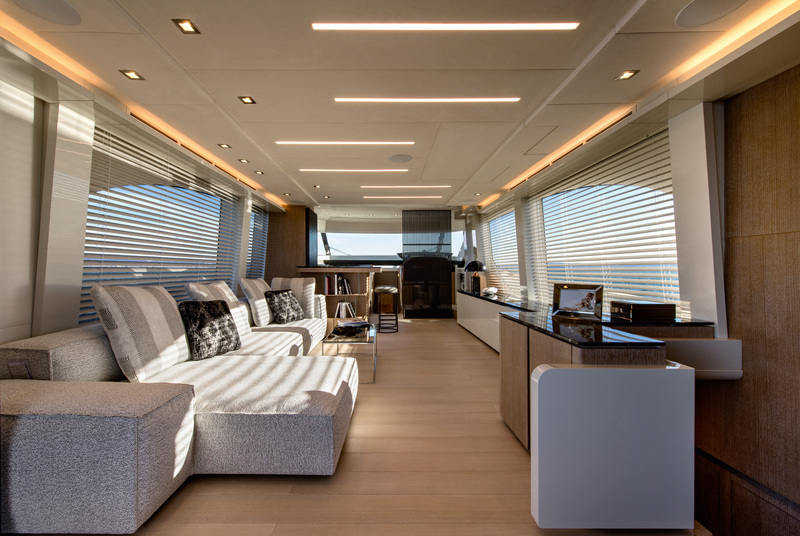 The elements used are precious and have not undergone artificial treatments: the scratched teak for the flooring, the scratched oak and grey sycamore for the furnishings. 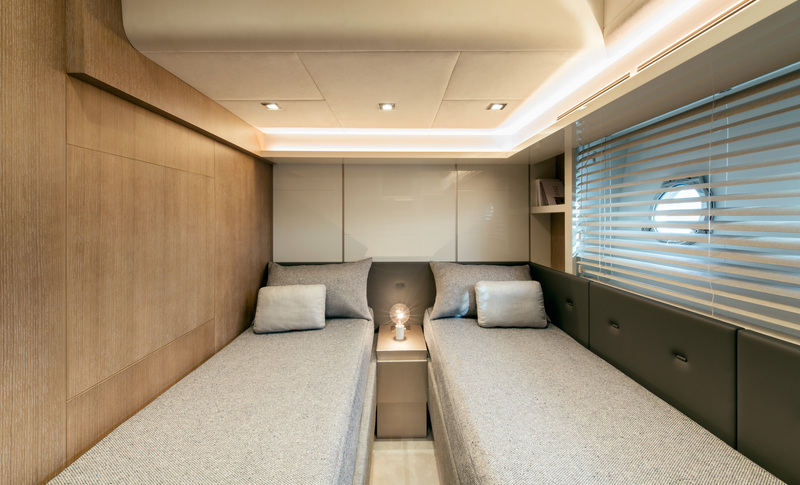 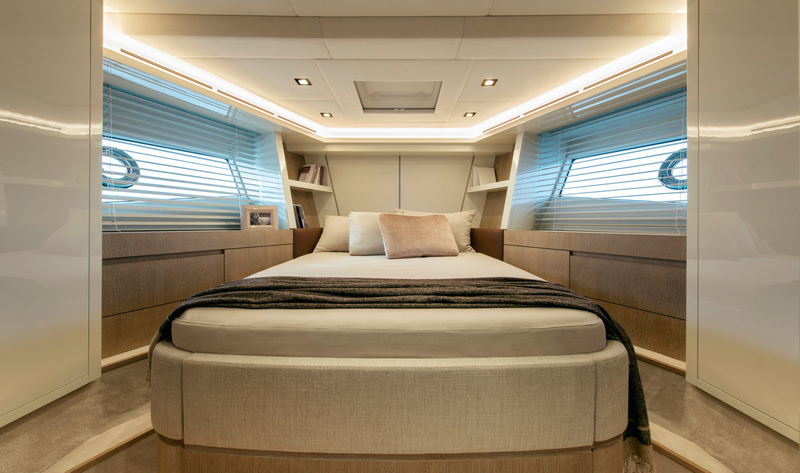 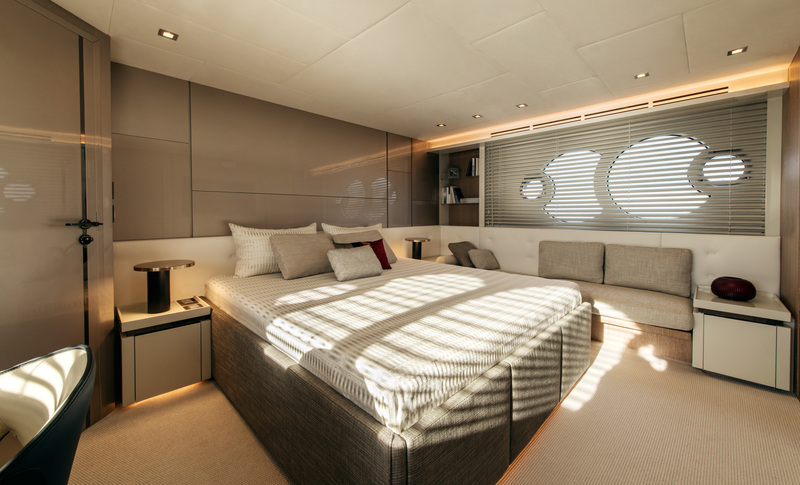 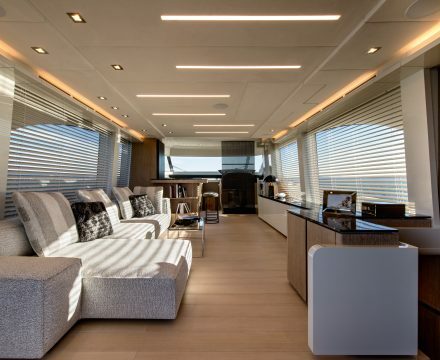 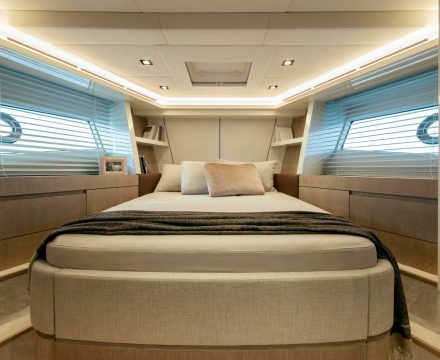 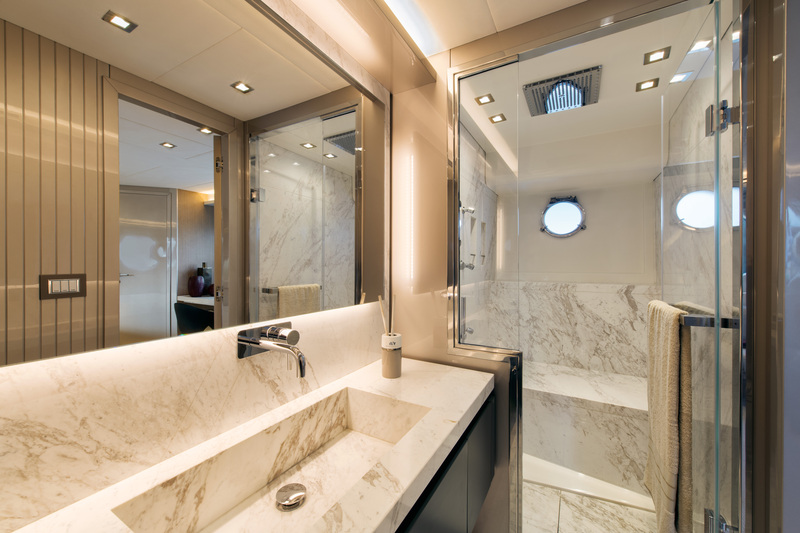 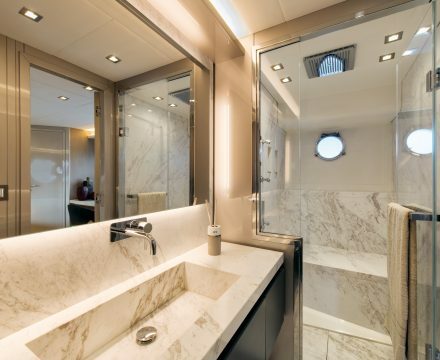 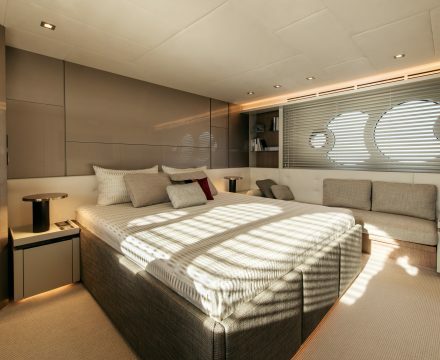 The hides and marbles (Amani Bronze and Persian Limestone) impart the same sense of natural elegance through which, in filigrain, the quality of the boat’s technological contents and the functionality of its design solutions can be read.